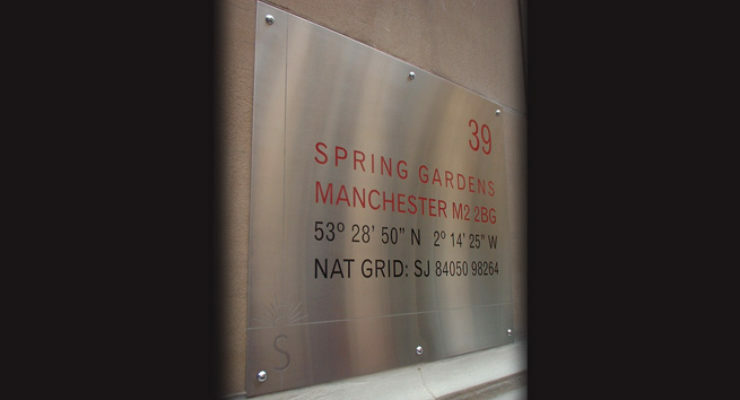 Satin Finish (brushed) stainless steel plaque/plates provide a modern, smart and slightly more understated feel of signage than their Mirror Finish counterparts. 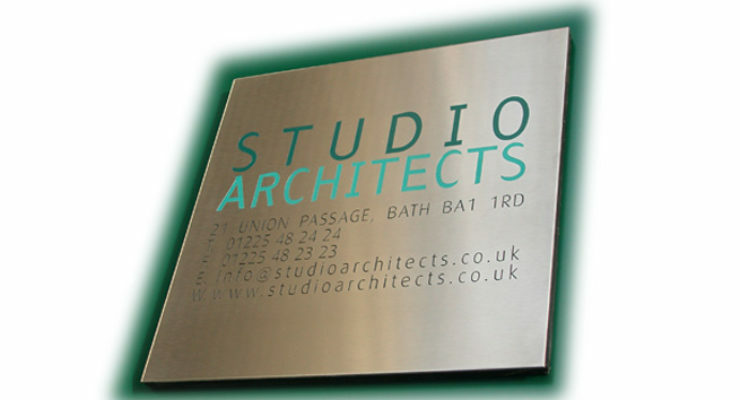 These plaque are first cut to size and have the metal finished, no sharp edges. 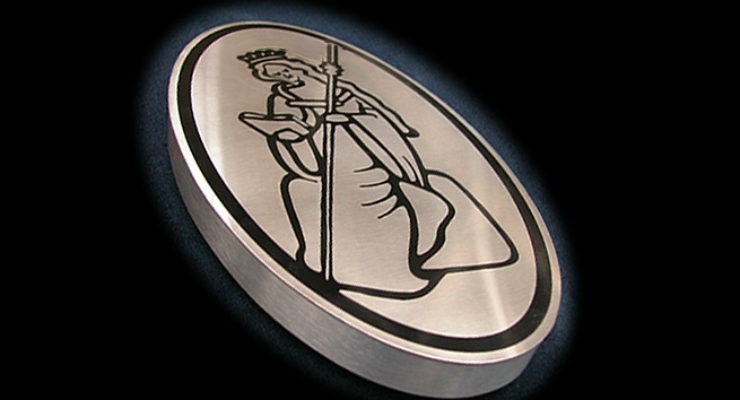 They are then chemically etched (as opposed to being engraved) to indent the metal. 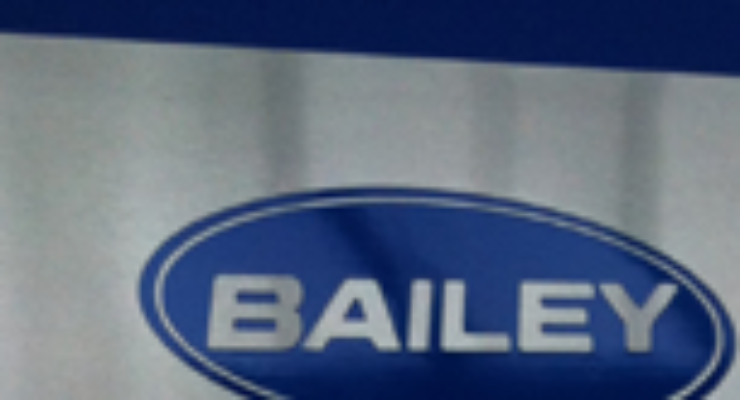 The colour (which can be mixed by us to match Dulux, Pantone, RAL or BS colours) is then applied. 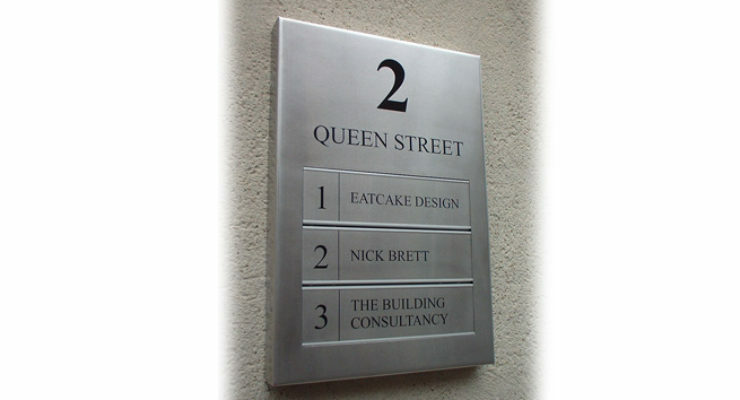 Stainless steel plaques such as this are often used as an external signage option in offices, high streets and professional establishments. 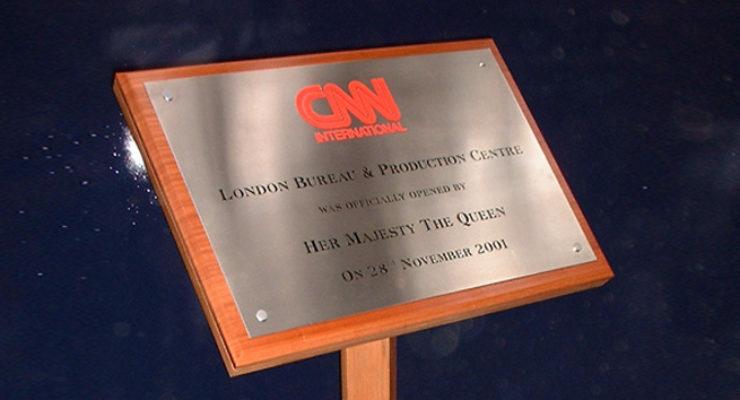 They are also commonly used to mark events such as Royal and Celebrity visits. 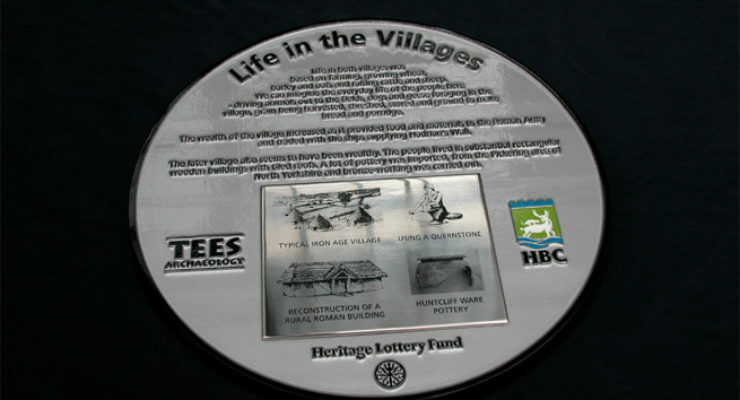 The plaques “grain” usually runs horizontally but can be vertical if required. 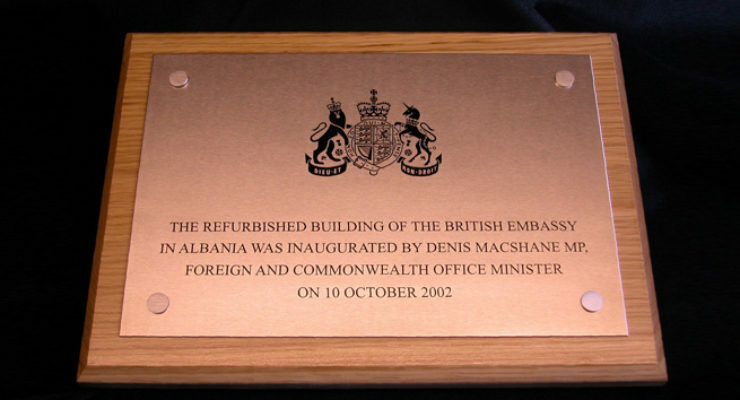 Suitable wooden plinths can be manufactured from required hardwood, and really add a prestige to the plaques. 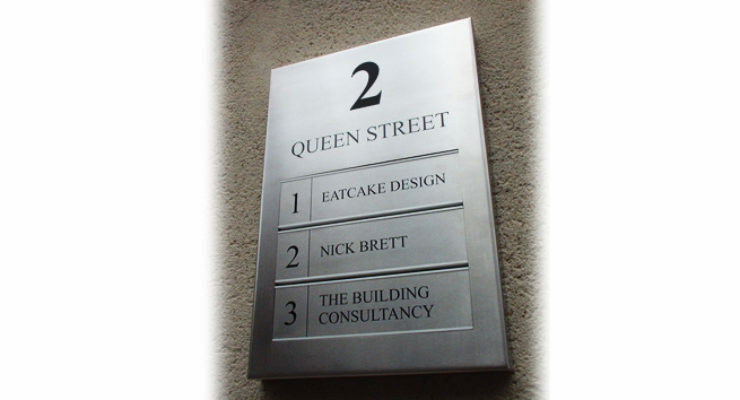 Fixings are “Cover-head Screws” as standard, but we can provide various solutions depending on requirements. 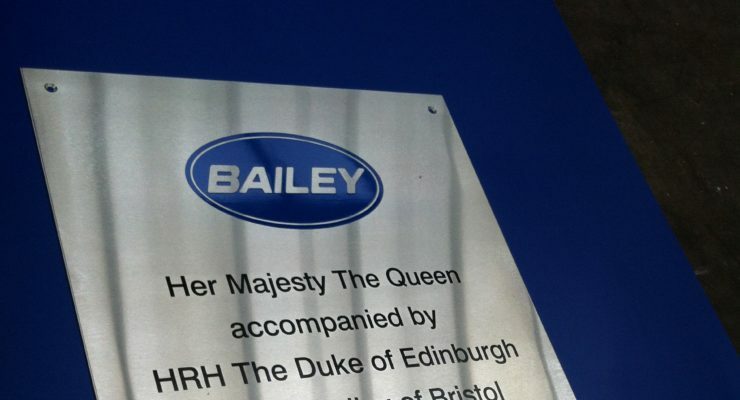 A notable project made from Satin Stainless Steel was the commemorative plaque unveiled for the Queen’s visit to the Bristol Based Bailey Caravans. 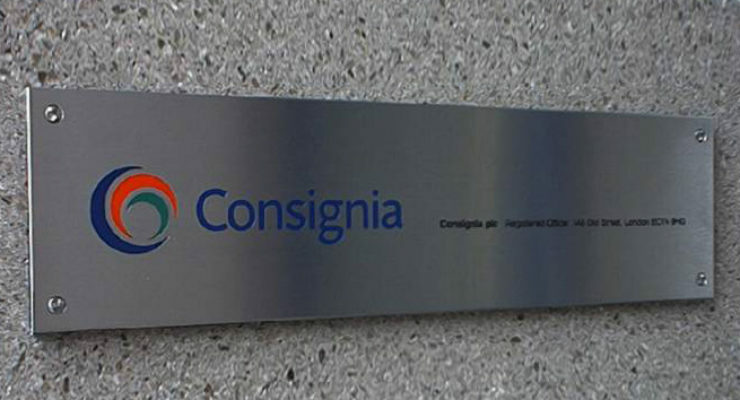 For more information, please see our news page here.